iOS has long lacked the ability to record phone calls, but that doesn’t mean folks don’t want to record their calls. If you’re running phone interviews or keeping legal records of phone calls and need to record your conversations, you’ll need to download an iPhone call recording app. 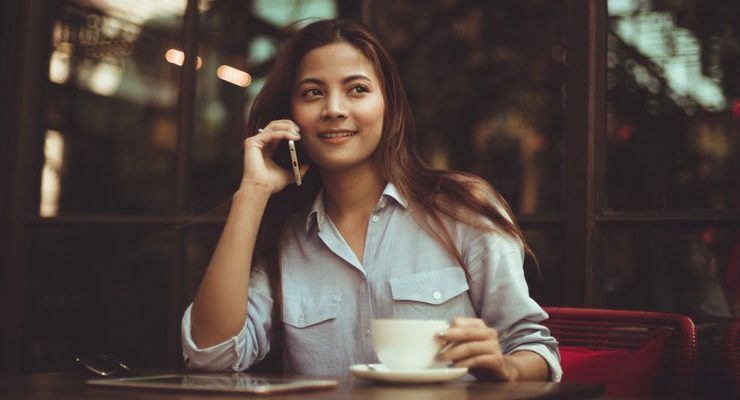 We’ll look at a couple good choice that allow you to use your normal phone number, but for greater flexibility, you can also consider using a VoIP app. Before you start recording all your phone calls, make sure it’s legal where you live. In most U.S. states, you’re free to record any calls you’re part of. However, there are some notable exceptions to this “one-party consent” rule. The Digital Media Law Project has a great library of resources explain who can and cannot record phone calls, so do your research before you try to catch some dirty cheat redhanded on a hot tape. You don’t to end up with inadmissible evidence or, worse, break the law yourself. TapeACall Pro is the best of the bunch when it comes to iPhone call recording apps. It works beautifully and reliably, with an easy-to-navigate interface and solid operation. It’s not cheap though: there’s a “lite” version available, but you’ll need to drop $10 for the fully unlocked version. However, if you’re a jurist, journalist, or jilted lover who needs to make a lot of call recordings, the cost might be worth it. TapeACall lets users record incoming and outgoing calls made with the native Phone app included on every iPhone. You can start recording before a call, or even start recording in the middle. Unfortunately, the call recording process on the iPhone is a little convoluted. You’ll need to start a call from either TapeACall or the Phone app, then “merge calls” with the TapeACall app on the other line. This adds the TapeACall app as a member of your new conference call, allowing the app to listen to your call and record anything that happens. This process is a bit of a hack, but the system works well once you’re used to it. Unfortunately, this limitation is baked into the iPhone, so all call recording apps are subject to it. 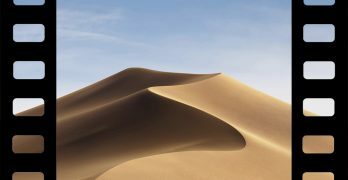 To avoid unwanted spying, iPhone security settings prohibit accessing a live phone call by another app. This means that TapeACall needs to be conferenced in to calls in order to record what’s happening. 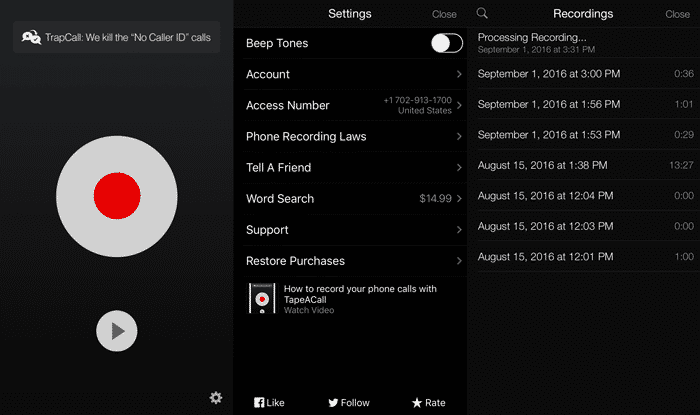 Many call recording apps require users to purchase by-the-minute credits to make call recordings. TapeACall, however, relies on a one-time payment to cover your costs. But if you know you’re going to be recording a lot of calls, you’ll save money in the long run.. If you’d prefer a pay-as-you go structure over TapeACall’s pay-once system, NoNotes is a good iPhone call recording alternative. The app is free to download, and each month you can record up to twenty minutes of calls for free. Additional minutes are billed at a per-minute rate, and you can buy more minutes in advance if you know you’ll need them. 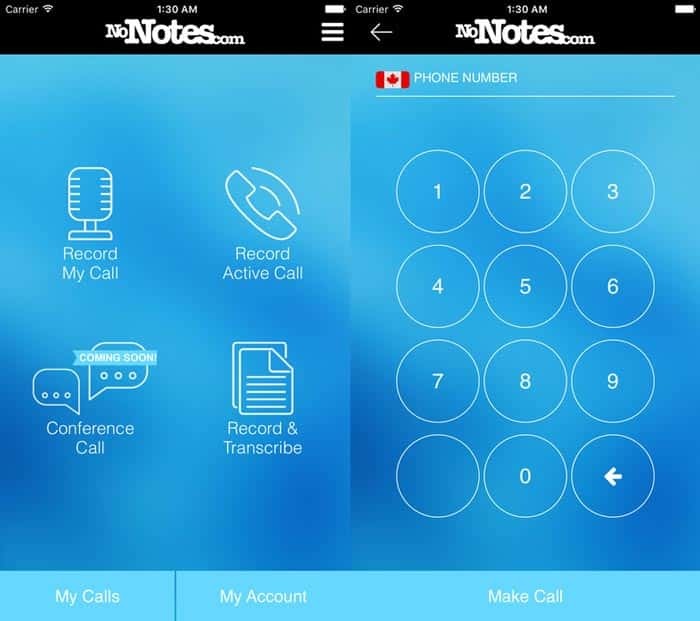 Recorded calls with be emailed to you and stored in the NoNotes app. The app functions smoothly and records calls easily, providing surprisingly reliable performance for a free app. NoNotes also offer a call transcription service, transcribing your recorded calls to text for 75 cents per minute. The same call-merging process that applies to TapeACall also applies to NoNotes, since that’s a limitation inherent in the iOS system, but the app is attractive and simple to use. With modest needs, you might never go over the twenty-minute limit. But if you need more recording time, you can pay twenty-five cents per minute of call recording or opt for the $8-per-month unlimited plan. Google Voice is the first VoIP iPhone call recording app on this list. As seen from the above two apps, recording actual phone calls from your iPhone requires some call-merging messing about. VoIP apps, on the other hand, have no such restrictions. They exist outside of your existing phone number and the Phone app, so they don’t need to follow its rules. And because the send call information across data lines instead of telephone lines, VoIP apps are generally more flexible and feature-rich, avoiding the built-in restrictions of the iPhone’s calling system. It’s not all roses and sunshine, though. If you use a VoIP app, you’ll have a different phone number for calls made within the app. This means that any callbacks you get will be for your VoIP phone number, not your regular phone number. 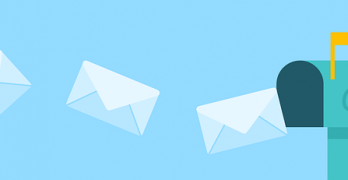 And because a VoIP app isn’t as tightly integrated with the operating system as the default Phone app, notifications of incoming calls can be easier to miss. But if those problems can be dealt with, most VoIP apps will provide a large and regularly-expanded feature list. This includes recording calls, easy conferencing, better audio quality, transcribed voicemails and more. If your interested in exploring, you can sign up for Google Voice for free with your existing Google account and get started playing around. If you want to use your normal phone number and don’t mind a small up-front investment, check out TapeACall Pro. For infrequent use, or if you need a transcription service, NoNotes is best. 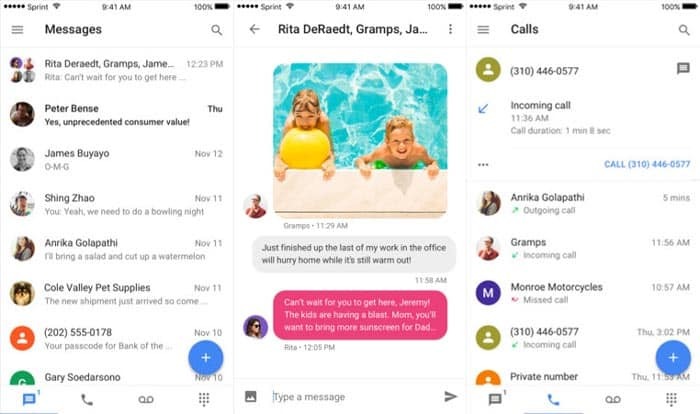 VoIP is the most flexible, but if you don’t love Google Voice, other VoIP apps like Viber or WePhone are good choices too. Does NoNotes notify the other party that the call is being recorded? Or is it anonymous?